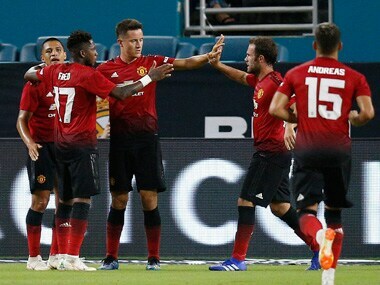 United topped Forbes' most valuable football team list in June with a value of $4.12 billion but experts reckon that does not mean they are immune to losing fans or sacrificing marketing heft when it comes to their global brand. 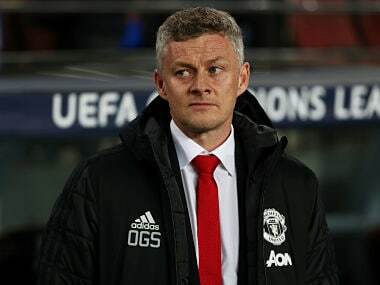 Experts suggest that is a road United could one day be on if they stick to a dull, defence-minded style of football that has led to their worst start for nearly 30 years and is compounded by the free-flowing brilliance of local rivals Manchester City. "It is difficult to accept that such issues cannot adversely affect the brand and marketability of the club," Spencer Harris, assistant professor of sport management at the University of Colorado-Colorado Springs, told Reuters. 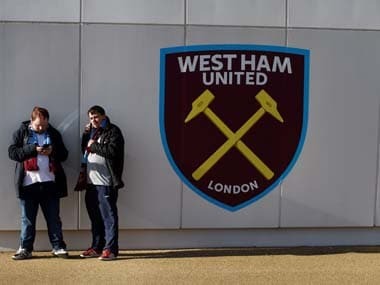 "Maybe the impact is not instantaneous, but assuming the situation remains the same over time, I would expect there to be some changes in the brand equity and marketability of the club particularly at the global rather than the domestic level." General Motors, which in 2012 signed a seven-year $559 million sponsorship deal with United that saw the carmaker's Chevrolet brand become the club's official shirt sponsor, did not return a request for comment on Tuesday. In September, United said revenue for the three months ended 30 June fell 16 percent to $186.58 million as the team's failure to get past the last 16 in the lucrative UEFA Champions League contrasted with the previous year when they won the second-tier Europa League. 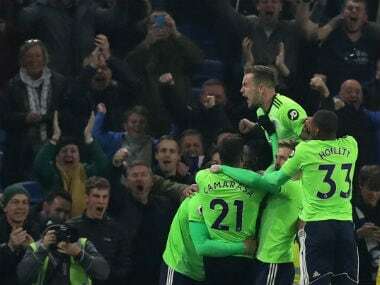 The could also miss out on revenue next year as they are unlikely to qualify for the Champions League given their current form which sees them languishing in sixth place, 19 points behind Premier League leaders and arch-rivals Liverpool. They are 11 points adrift of the final Champions League qualifying spot currently occupied by fourth-placed Chelsea. According to Harris, who teaches a course called 'Managing Soccer: Global & Local Perspectives', United are bigger than any one man and the decision to send Mourinho packing drives home that philosophy to players, fans and opponents. If anything, Harris suggested the sacking of Mourinho, who was outspoken and considered by some pundits to be a divisive figure, could actually galvanise United's support. 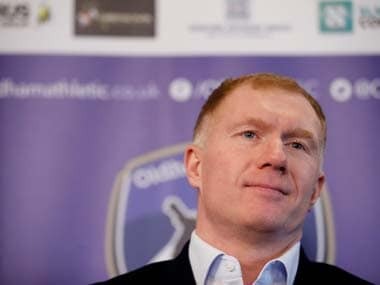 "The issue here is not about results as much as it is about coach-player relationships, style of play, and the global image and identity of Manchester United," said Harris. "Results are obviously an important issue and I dare say that had these been better, and United at the top of the table, the board might take a different view. When the Portuguese took over at Old Trafford in 2016 it was considered a marriage of two of football's biggest names — Mourinho, the manager who collects trophies wherever he goes, and United, England's most successful club and a global giant. At the time, United called Mourinho the best manager in the game, but the job was too big for him and his tenure was marked with high-profile spats with key players, notably French World Cup-winning midfielder Paul Pogba who cost £90 million. But experts say it is the players who are the real stars, not the manager and that when a team like United struggle as they have this year the pressure to make changes will come from the fans, shareholders and even the players. "There is probably a little more impatience with teams and franchises that have a lot of money to spend and have very high expectations and have long histories of success," said Bob Dorfman, sports marketing expert at Baker Street Advertising in San Francisco. "When that doesn't happen for a period of time there's usually a shorter leash on managers and players. There's just too many people that expect too much of Man United and ultimately if they lose it hurts their marketability."